I like to try to share new recipes as often as I’m motivated… today’s recipe is one I had to try when Mike was not home for dinner. You see, we share an aversion to stinky cheeses (discovered after the horrific Gruyère on french onion soup experience several years back). However, Parmesan cheese falls into this category for him, while it’s on my yummy list. 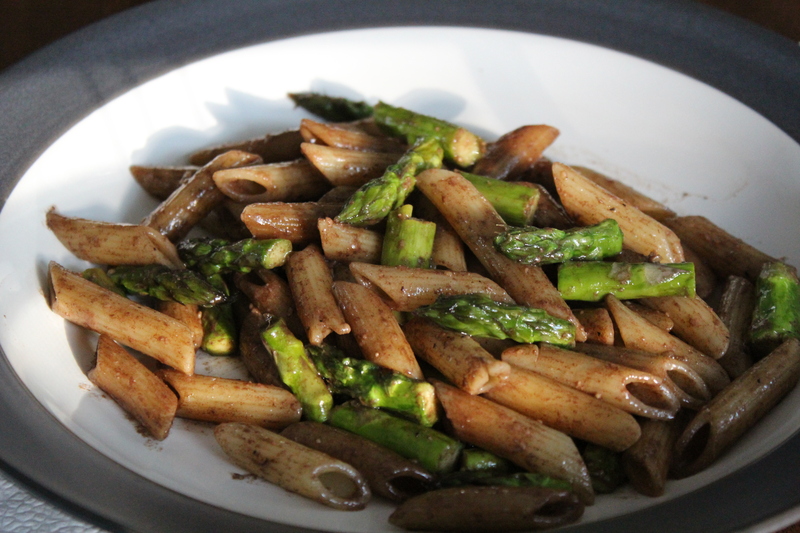 That and he doesn’t like asparagus, which is a staple in this dish. About halfway through cooking (the part where you simmer the balsamic vinegar) I got a bit skeptical, but this turned out very nicely. 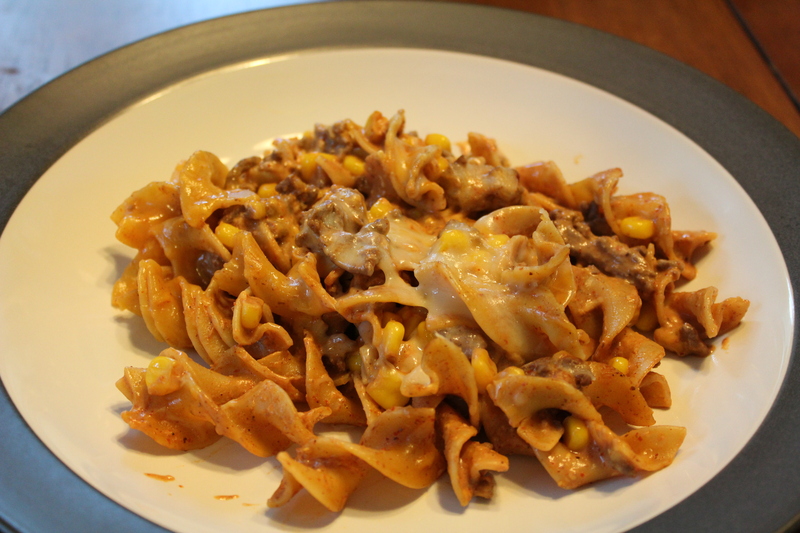 It’s a fairly quick and easy meal (took me about 30 minutes, which you could trim down to about 20) and tasted delicious! September 11th 2001 should have been like any other day. Actually, I take that back – it should have been harder. I had just seen my boyfriend, Troy, off the night before to an overseas deployment with the Marines. I had cried my eyes out all night and was exhausted. Sometime just after 6am, the phone rang in the apartment that I shared with three friends from college. I’m not gonna lie, I was mad, asking myself who would be calling this early in the morning. I remember laying in bed for a few minutes longer and then storming out to the living room to yell at whoever it was. It was then that I saw my roommate sitting in shock on the sofa in front of the TV. Her family had called from New Jersey to let her know they were ok. For the next few hours we sat in front of the TV watching the devastation unfold. At just twenty years old, I couldn’t believe that sort of evil existed in the world. My previous experiences had only been with natural disasters (the 1989 Loma Prieta earthquake) – never had I been exposed to this level of hate. Why, you ask, is she rambling about her experience, which in comparison to so many others is completely benign? Without a doubt, September 11th had a profound impact on who I am today. I think it’s no great coincidence that I’ve surrounded myself with firefighters and first responders. Or that my volunteer work is centered completely around educating the public about disaster preparedness and helping others. In the days that followed September 11th, I watched America band together. I finally understood what my Grandpa had told me growing up – that this country is amazing and that it’s worth fighting for. I learned what it means to honor those who died by pressing on. I learned how proud I am to be American. The “Star Spangled Banner” means more to me, as does our beautiful flag. Every year I dedicate my sole Facebook update for the day to some sort of memory – this year is a picture of the three firefighters raising the flag, made even more poignant now that I’m married to a firefighter. And there’s always the requisite “never forget” – I couldn’t forget if I tried. I will continue to dedicate my life to helping others, regardless of race, color, religion, or creed. That’s how I won’t forget. 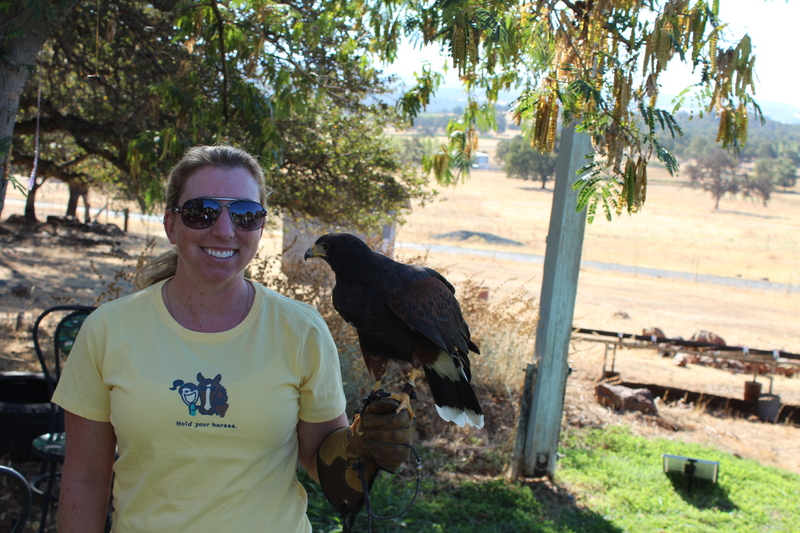 A while back my mom and I took advantage of a Groupon to take a falconry lesson. We had a blast and for my parents’ birthday, my mom decided to take my dad. I wanted to go again, but due to our crazy busy lives, we didn’t get around to it until this weekend. Falconry (for those of you wondering) is hunting with a trained bird of prey. It dates way back to 2000 BC and was super popular in medieval Europe. 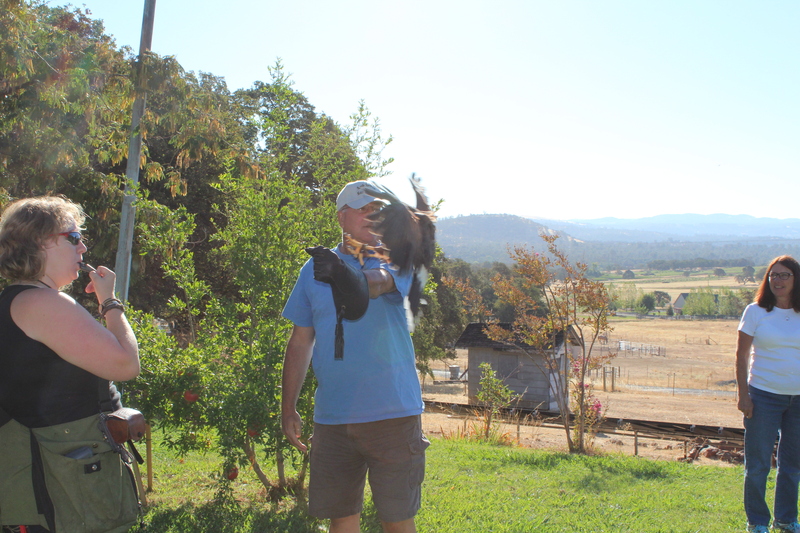 We headed out to West Coast Falconry, in Marysville, bright an early. As with the first lesson we took, it was a blast. Jana and Shawna were our instructors and provide just the right mix of educational information and fun. They taught us the basics and then everyone had the opportunity to call and send the bird. 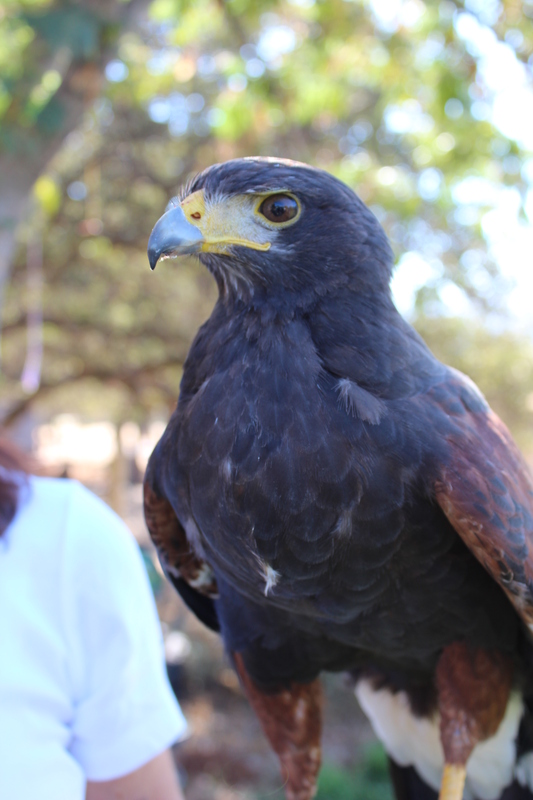 If you’re at all interested in learning more about falconry or taking your family out for a fun event (the basic class is only about an hour long), I definitely recommend West Coast Falconry!